It is generally accepted that the number of new autism diagnoses is increasing. It is unclear whether this is due to a true increase in cases, increasing awareness of autism spectrum disorders (ASDs), or differences in the methods used to diagnose these conditions and assess their prevalence. The burden of ASDs for families and communities is considerable both monetarily and emotionally. In the first few decades after autism was described, it was thought to be a consequence of bad parenting, particularly by the mother. Despite decades of research, a specific scientific cause or definitive treatment for ASDs remains elusive in most cases. This lack of evidence has led to much speculation about the etiology of ASDs. Early reports of associations between the MMR vaccine and autism have been shown to be based on flawed and perhaps fraudulent studies. Similarly, reports linking the mercury-containing preservative thimerosal with autism have been refuted by several rigorously conducted scientific studies. The third theory that vaccines either “weaken” or “overwhelm” the immature immune system in young children and lead to autism is also not supported by credible scientific data. Emerging research indicates the genetic underpinnings of ASDs, but a small, vocal minority of parent groups and even a few physicians and scientists continue to support the hypothesis that vaccines cause autism. Unsubstantiated media reports and litigation sponsored by some parent advocacy groups continue to keep the controversy alive. Vaccines have been phenomenally successful in eliminating diseases such as smallpox, measles, and polio. Fear of these deadly scourges has been replaced with concerns about vaccine safety among some members of the public. Declining vaccination rates have caused a reemergence of some of these diseases. In order to reestablish the public’s trust in vaccination, it is imperative that rigorously researched scientific information on the issue of vaccines and autism is accurately collected and appropriately disseminated. Williams R. Autism through ages baffles science. Available at: http://pediatricservices.com/prof/prof-26.htm. Accessed 10 Feb 2012. DSM-5 proposed criteria for autism spectrum disorder designed to provide more accurate diagnosis and treatment. Available at: http://www.dsm5.org/Documents/12-03%20Autism%20Spectrum%20Disorders%20-%20DSM5.pdf. Accessed 30 Jan 2012. Refrigerator Mothers. Available at: http://kartemquin.com/films/refrigerator-mothers. Accessed 30 Jan 2012. Novella S. The increase in autism diagnoses: Two hypotheses. Available at: http://www.sciencebasedmedicine.org/index.php/the-increase-in-autism-diagnoses-two-hypotheses/ Accessed 30 Jan 2012. Autism and family stress. Personal Best Healthlines. 2011. Available at: http://www.personalbest.com/Health-Wellness/Newsletters/PersonalBest4U-Online-Newsletter.aspx. Accessed 31 Jan 2012. Institute of Medicine. Immunization safety review: vaccines and autism. Available at: http://www.nap.edu/catalog.php?record_id=10997. Accessed 12 Feb 2012. BBC News. MMR immunisation rate falls again. Available at: http://news.bbc.co.uk/2/hi/health/3683930.stm. Accessed 14 Feb 2012. Editorial team. Measles once again endemic in the United Kingdom. Euro Surveill 2008;13(27):pii=18919. Available at: http://www.eurosurveillance.org/ViewArticle.aspx?ArticleId=18919. Accessed 14 Feb 2012. BBC News. MMR vaccine uptake rise ‘stalls’. Available at: http://news.bbc.co.uk/2/hi/health/7633115.stm. Accessed 10 Apr 2011. Centers for Disease Control and Prevention (CDC). Hospital-associated measles outbreak—Pennsylvania, March-April 2009. MMWR Morb Mortal Wkly Rep. 2012;61:30-2. Centers for Disease Control and Prevention (CDC). Notes from the field: Measles outbreak--Indiana, June-July 2011. MMWR Morb Mortal Wkly Rep 2011;60(34):1169. Centers for Disease Control and Prevention (CDC). Notes from the field: Measles outbreak--Hennepin County, Minnesota, February-March 2011. MMWR Morb Mortal Wkly Rep 2011;60(13):421. Centers for Disease Control and Prevention (CDC). Measles: United States, January--May 20, 2011. MMWR Morb Mortal Wkly Rep. 2011;60(20):666-8. Office of Research Integrity. Definition of research misconduct. Available at: http://ori.hhs.gov/definition-misconduct. Accessed 14 Feb 2012. Deer B. Revealed: MMR research scandal. Sunday Times 2004 February 22. Available at: www.timesonline.co.uk/tol/life_and_style/health/article1027636.ece. Accessed 17 Apr 2011. General Medical Council. Dr Andrew Jeremy Wakefield. Determination on serious professional misconduct (SPM) and sanction. 24 May 2010. Available at: www.gmc-uk.org/Wakefield_SPM_and_SANCTION.pdf_32595267.pdf. Accessed 17 Apr 2011. General Medical Council. Professor John Angus Walker-Smith. Determination on serious professional misconduct (SPM) and sanction. 24 May 2010. http://www.gmc-uk.org/Professor_Walker_Smith_SPM.pdf_32595970.pdf. Accessed 17 Apr 2011. United States Environmental Protection Agency. Implementation of the Mercury-Containing and Rechargeable Battery Management Act. Available at: http://www.epa.gov/osw/hazard/recycling/battery.pdf. Accessed 14 Feb 2012. United States Environmental Protection Agency. Methyl mercury. Available at: http://www.epa.gov/iris/subst/0073.htm#reforal Accessed 14 Feb 2012. United States Enviromental Protection Agency. Health Effects. Mercury. Available at: http://www.epa.gov/hg/effects.htm#comp. Accessed 14 Feb 2012. Rimland B. The vaccine-autism connection-Part I (Thimerosal). Available at: www.Autism Research Institute.com. Accessed 14 Feb 2012. Supreme Court of the United States. Russell Bruesewitz et al v. Wyeth et al. No. 09-152. Argued October 12, 2010—Decided February 22, 2011. Autism Science Foundation. NAAR founder Eric London resigns from Autism Speaks citing disagreement over vaccine research. 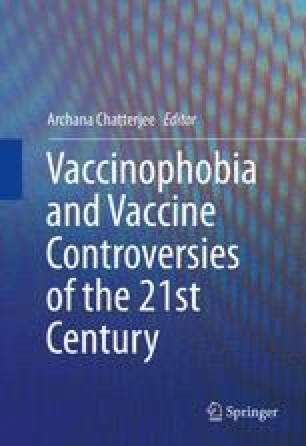 Available at: http://autismsciencefoundation.wordpress.com/2009/06/30/naar-founder-eric-london-resigns-from-autism-speaks-citing-disagreement-over-autismvaccine-research/. Accessed 18 Feb 2012.